Good deal you got your money's worth out of them. Were they running off of 12 V or through an inverter? 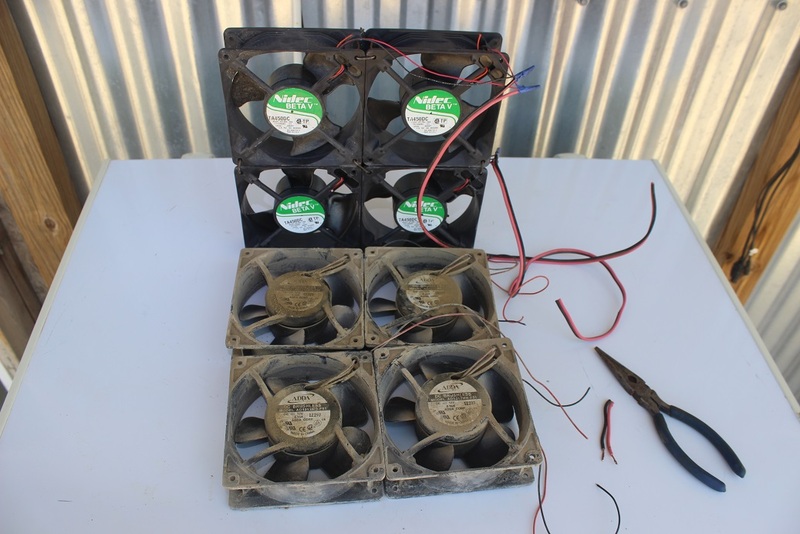 These are 12 vdc fans running off my battery bank. I also use the Pepino fans for ventilation with the water pump turned off - even in winter. For cooling, consider geothermal. Find the video of the farmer in Nebraska who grows oranges. He explains how his geothermal heating and cooling works.